Roses have a long and colorful history. They have been symbols of love, beauty, war, and politics and have been used as confetti at celebrations, for medicinal purposes, and as a source of perfume. It wasn't until the late eighteenth century that cultivated roses were introduced into Europe from China. Most modern-day roses can be traced back to this ancestry. 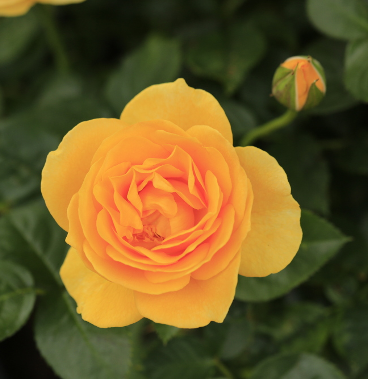 These introductions were repeat bloomers, making them unusual and of great interest to hybridizers, setting the stage for breeding work with native roses to select for hardiness and a long bloom season. Many of these early efforts by plant breeders are of great interest to today's gardeners. 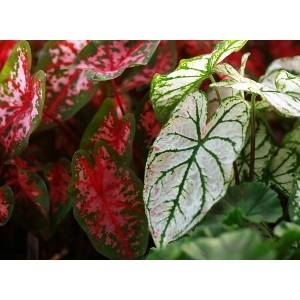 Big, heart-shaped leaves that display amazing color combinations of white, pink, red and green best describe caladiums. 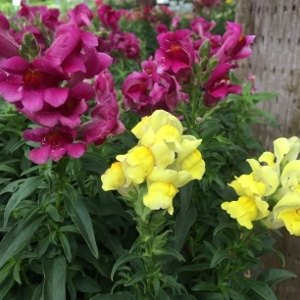 They love hot, humid weather and grow best in full to partial shade, though most varieties can also be grow in full sun as long as they get plenty of water. This provides multiple options for planting caladiums in gardens, landscapes, and combining them with other sun loving annuals, perennials and bulbs. Decorate outdoor sitting areas with caladiums since they grow well in pots and planters and are the perfect solution for brightening a shady porch or a covered deck. 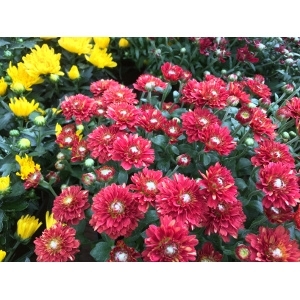 They also brighten up window boxes and hanging baskets and make a colorful border along a sidewalk or flowerbed. 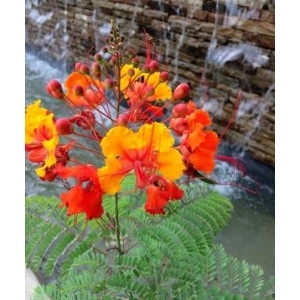 The national flower of Barbados is one of the most attractive heat loving plants for Central Texas. 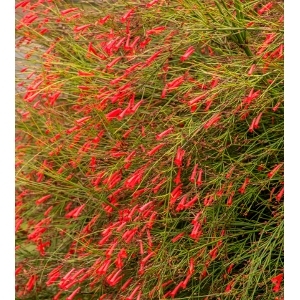 The species name pulcherrima literally means “very pretty” and it definitely lives up to the name. The blooms are clusters of orange-red with a tinge of gold on the edges. 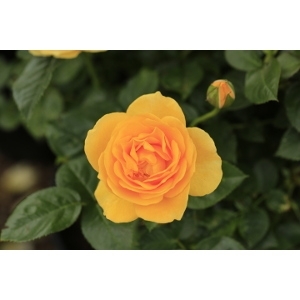 Easy to grow in alkaline to acidic, well-drained soils, fast growing and bloom best in full sun. Considered drought tolerant once established. Great for attracting butterflies. Beautiful blasts of blue best describe plumbago, a native of South Africa. 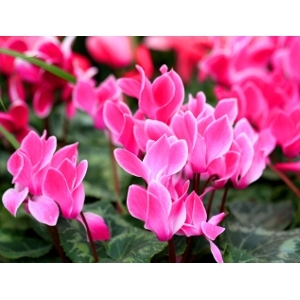 With its’ ease of growth, minimal basic needs and negligible pest and disease problems, it is a nearly perfect choice for those who like to think of themselves as plant killers. 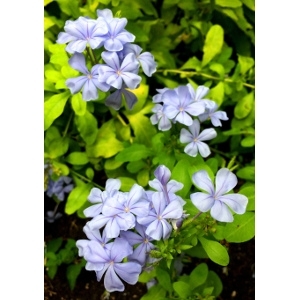 Plumbago requires very little care and fulfills a variety of needs in the landscape. 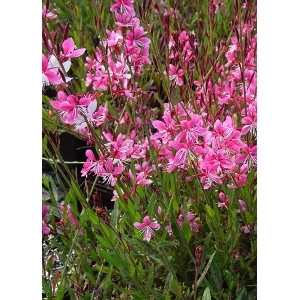 It is fast-growing and has light-green oblong leaves which are evergreen and stay the same color in winter, providing an attractive, year-round frame for its fragrant, phlox-like sky-blue flowers. To encourage its best growth and performance, plumbago should be planted in soils that are slightly acidic and drain well. It tolerates partial sun and partial shade, but the flowers it produces won't be as numerous as those of plants grown in full sun conditions. One of the best things about plumbago is that it's moderately tolerant to drought conditions, especially once it’s established in the landscape. Watering once every week or two is sufficient. 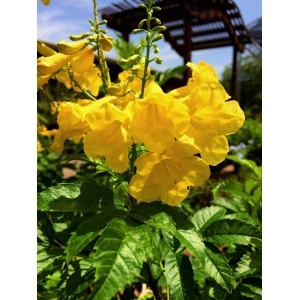 Also known as yellow bells, hardy yellow trumpet, or yellow alder, the tropical esperfanza is easily recognized by its large masses of lightly scented, golden-yellow, trumpet-shaped flowers amid the dark green foliage. 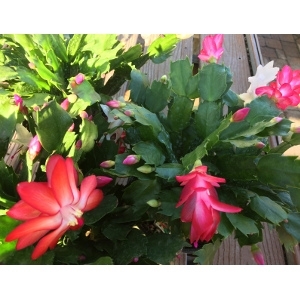 These can be seen blooming from spring through fall. 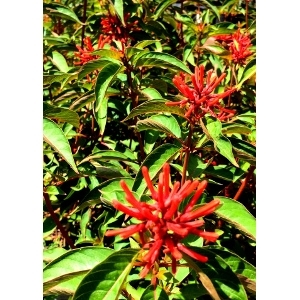 While esperanza perennials are grown in the landscape as shrubs or container plants for their beauty, they were once quite popular for their medicinal use as well. Esperanza needs to be grown in warm conditions; preferably in full sun though afternoon shade is suitable as well. While esperanza can tolerate a wide range of soil conditions, it’s preferable they be given fertile, well-draining soil. Therefore, any poor soil should be amended with compost to improve its overall health and drainage. Esperanza is extremely heat and drought tolerant. The hibiscus is a national symbol of Haiti and the national flower of nations including the Solomon Islands and Niue. 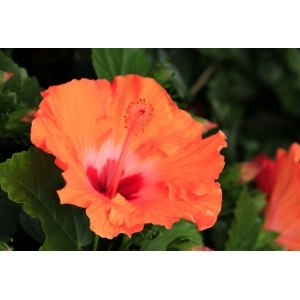 Known for their showy flowers, hibiscus are an easy way to add a tropical flair to your garden. When you know how to care for hibiscus plants, you will be rewarded with many years of lovely flowers. Although warm, humid conditions are ideal for tropical hibiscus, you may want to provide a little afternoon shade when it’s overly hot. Whether in containers, flowerbeds or landscape shrubs, hibiscus are a wonderful addition to attract butterflies, bees, and hummingbirds. Beautiful and extremely popular flowering plants that grow well both in the garden and in containers, Geraniums are popular for their bright and sometimes fragrant flowers, but they bring with them the extra bonus of being especially good companion plants. 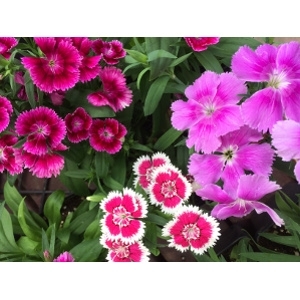 They come in a wide range of colors, from white and red to various shades of pink and purple. Growing geranium plants is easy as long as you can give them what they need. Depending on where or how you grow geranium plants, their needs will be somewhat different. Indoors, geraniums need lots of light for blooming but will tolerate moderate light conditions. 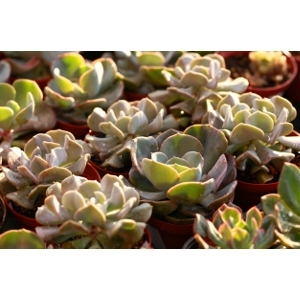 These plants need to be grown in well-draining potting soil as well. 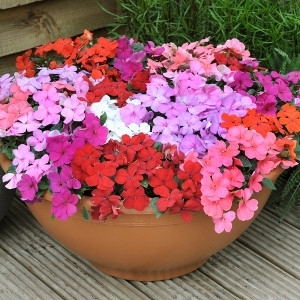 When growing geraniums outdoors, they require moist, well-draining soil similar to that of indoor potting soil with equal amounts of soil, peat, and perlite. 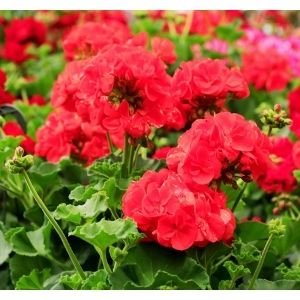 Locate your geraniums in an area with at least six to eight hours of sunlight. 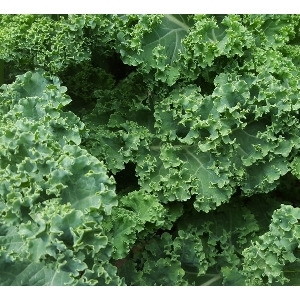 Mulching the plants is also recommended to help retain moisture. Pansies are cheerful, multi-colored flowers that among the first of the season to offer winter color and will continue to bloom into the early spring. 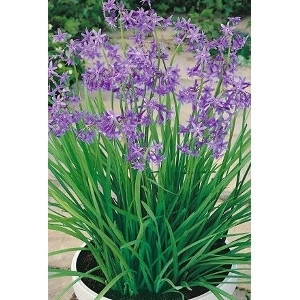 Today’s hybrid versions are more adaptable to heat than those of the past with larger blooms displayed and more vigor. 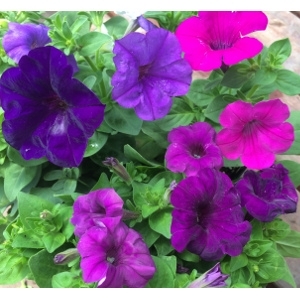 They prefer a full or part sun location and are happy in hanging baskets, combination containers, and flower bed borders. Proper preparation of the soil goes a long way in helping keep your pansies happy. Work in organic material such as compost or well-rotted leaves to a 4-inch depth before planting. This accommodates the growing pansy’s need for well-draining soil and provides nutrients as the organic material decomposes. When growing pansies in well-prepared soil, the need for fertilization will be minimal. 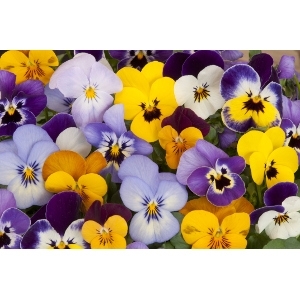 Pansies also prefer acidic soil and for longer blooming periods and the equation is simple: water and deadhead them. Showcasing red, delicate flowers in large loose clusters throughout the warmer months of the year or nearly year-round where winters are mild, the red firecracker fern is also known as the Coral Fountain Plant since it looks like a fountain of green, fine textured stems covered in colorful tubular flowers originating from a central point. It looks great spilling from containers, raised beds, over walls, and can even be used as an informal groundcover. 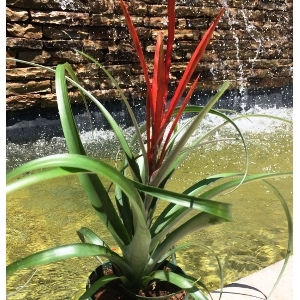 The firecracker fern thrives in sun or part shade is drought tolerant once it is well established and virtually maintenance free. 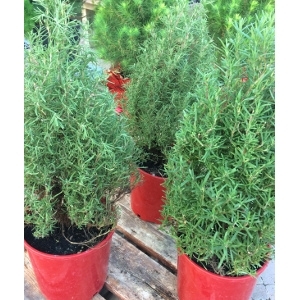 It can also be considered for xeriscaping and is excellent for attracting hummingbirds and butterflies. If you are looking for a plant that is tough as nails and blooms from spring through fall, then guara may be a great fit for your garden. With white or pink flowers, guara is a Texas native that loves full sun and tolerates drought. The blooms have earned it the common name of Whirling Butterflies since it gives the impression of butterflies flitting in the breeze when the wind is blowing. The flowers also attract hummingbirds. Society garlic, a groundcover that produces delicate, star-shaped purple flowers, grows to about a foot tall and is wonderful in borders or mass plantings. Native to the rocky grasslands in eastern South Africa, society garlic is actually not in the same category as garlic and onions. They are however in the same plant family as onion. The common name "society garlic" comes from the old rumor that this plant tastes like garlic without causing bad breath. It does produce sweet-smelling flowers with stems that smell faintly of garlic when crushed. Society garlic is a perennial with narrow, grass-like green leaves that reach about a foot tall and flowers rise up on stalks about two feet tall.